Who wouldn’t want to meet Randall Lane? Delivering Forbes to its highest readership in its 97-year history is all in a day’s work for Editor Randall Lane, keynote speaker for the Incisal Edge 40 Under 40 Summit. young dentists in New York City later this week. Especially when the itinerary includes face time with Forbes Editor Randall Lane @RandallLane, an exclusive high fashion photo experience at one of Manhattan’s most elegant waterfront venues – Current at Chelsea Piers, and a celebration of all they have achieved thus far in their professional careers. Incisal Edge, the leading lifestyle magazine for dental professionals nationwide, will host a two-day event to create a photography portfolio in preparation of its annual “40 Under 40” edition, featuring the top young dentists in the nation. On May 28 and 29, the honorees will put their chairside techniques on hold and prepare to be preened on location by magazine staff, celebrated style director Joseph DeAcetis and photographer Jeff Fried. This experience coincides with The Summit, a celebration of the franchise’s fifth anniversary success. Distinguished alumni from years past will convene for panel discussions, keynote presentations and festivities. Two Edison Award™-winning inventors of the dental industry Dr. Alene D’Alesio (Incisal Edge Class of 2015) and Dr. Casey Culberson (Incisal Edge Class of 2013) will share the platform with leading-edge innovators Dr. Jason Auerbach (Incisal Edge Class of 2014) and Dr. Angela Enriquez (Incisal Edge Class of 2013) and social media game changers Dr. Thomas McCue (Incisal Edge Class of 2014) and Dr. Jennifer Torbett (Incisal Edge Class of 2013). In discussions with their peers, led by Benco Dental Vice President of Marketing Paul Jackson and Benco Dental Marketing Communication Manager Rachel Pugh they will add insight on the topics of dental equipment, design, marketing and trends. 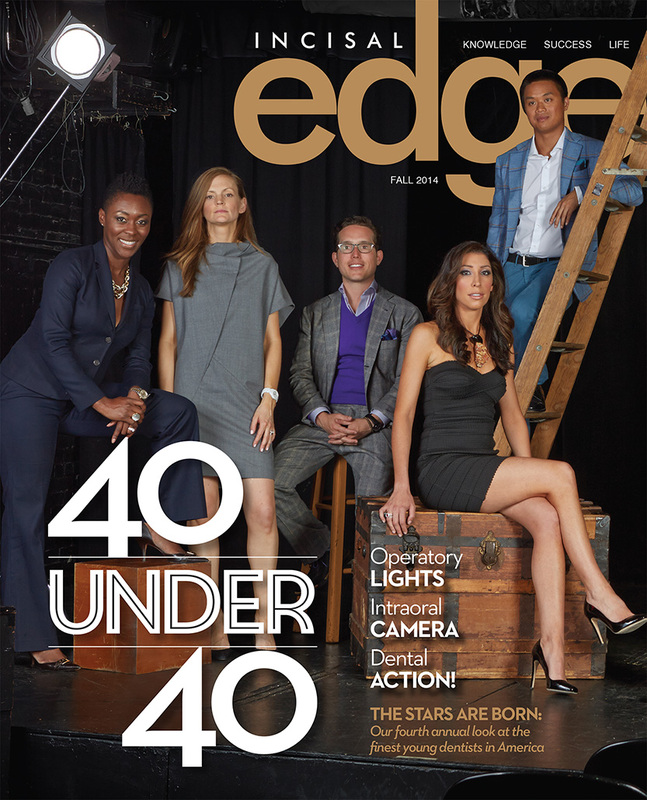 Published by Benco Dental, Incisal Edge celebrates dentists’ achievements both inside the operatory and during their hard-earned downtime — and nothing better exemplifies this than the 40 Under 40, a series of informative profiles of the finest young practitioners in our industry today. Whether they’re renowned for their medical innovations, their volunteer work and philanthropy or simply their commitment to outstanding patient care, these 40 standouts — nominated by industry experts from around the country and vetted by an independent panel — represent the best of dentistry today, and the promise of even better dentistry tomorrow. Among this year’s Incisal Edge 40 Under 40 recipients are 16 women and 24 men from 19 states: Dr. Adam Moore, Garner, North Carolina, Dr. Amir Daoud, Clearwater, Florida, Dr. Amit Patel, Snellville, Georgia, Dr. Ancy Verdier, Worcester, Massachusetts, Dr. Anne Etzkorn, Westminster, Maryland, Dr. April Elizabeth Walker, Warminster, Pennsylvania, Dr. Aristotle Lyssikatos, Newark, New Jersey, Dr. Ashish Vakharia, Snellville, Georgia, Dr. Benjamin Thomas Halton, Warminster, Pennsylvania, Dr. Benjamin Tolley, Winchester, Virginia, Dr. Brad Stutler, Brownsburg, Indiana, Dr. Cindy Wolt, Johnstown, Ohio, Dr. Dennis J. Mauro, Vandalia, Ohio, Dr. Gregory Strait, Manahawkin, New Jersey, Dr. Jeffrey N. Grove, Wyomissing, Pennsylvania, Dr. Laurentis L. Barnett, Madison, Alabama, Dr. Erin Elliott, Post Falls, Idaho, Dr. Harish Gulati, Boston, Massachusetts, Dr. Janine Trindade, West Deptford, New Jersey, Dr. Jared Robertson, Albuquerque, New Mexico, Dr. Jason Nudelman, East Brunswick, New Jersey, Dr. Jena Barry, East Brunswick, New Jersey, Dr. Jenna Winokur, Lakewood, New Jersey, Dr. Jesse Harris, Mechanicsville, Virginia, Dr. Joseph P. Matrullo, Cranston, Rhode Island, Dr. Justene Doan, San Diego, California, Dr. Janice Doan, San Diego, California, Dr. Kristen Ritzau, San Clemente, California, Dr. Lori Logan, Cypress, Texas, Dr. Louis Whitesman, Melrose Park, Illinois, Dr. Alene D’Alesio, Pittsburgh, Pennsylvania, Dr. Pako Major, Albuquerque, New Mexico, Dr. Scott Goldman, Melrose Park, Illinois, Dr. Shane Costa, Great Falls, Virginia, Dr. Stacey A Yandoli, West Deptford, New Jersey, Dr. Stephanie B. Swords, McKinney, Texas, Dr. Talmadge D. Wilkins IV, Aiken, South Carolina, Dr. Valerie Scola, Murrieta, California, Dr. Varsha Reddy, Tappan, New York, and Dr. Young S. Yi, Lakewood Township, New Jersey. Dr. Howard Farran keeps it simple. 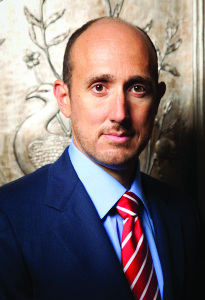 40 Under 40 – take one!